Having an idea to book Lava-lava hotel in Probolinggo but you still feel that really reluctant might be helped by finding the info about the hotel first before you decide to book it now. Of course, when we are planning to have a fun holiday, it is such a good idea for you to deal with the best choice of the hotel for having an enjoyable holiday or vacation. That is the reason why we have to be selective on choosing the hotel even we have such a limited budget for the hotel. We can still find a basic hotel which is totally comfy. Sure, this hotel is a type of basic hotel with the basic facility. It can be chosen as well if we are going to visit Probolinggo, for example to go to Bromo. Before you go choosing this hotel to be booked, it is a good idea for getting the complete info about this hotel first so that you would not get disappointed in the end. 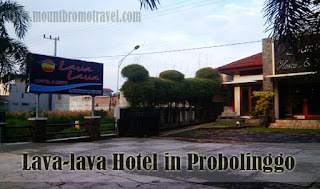 Before you book a hotel, for example Lava-lava hotel in Probolinggo, it is important to know well about the hotel. It is a good idea for you to find the complete info about the hotel first. Lava-lava hotel is located on Jln. Raya Bromo Km.05. This has a good location for you who want to enjoy your vacation since this hotel is near some tourist attractions, as like the Museum Probolinggo which is located about 4.5km from the hotel. If you want to visit Bromo Mountain, it is located about 31.5km from the hotel and about 39km from Bromo Tengger Semeru National Park. From Jabung Temple it is only less than 33km. this hotel has about 20 rooms available which have the complete facility of the room. The cost of the room starts from about 300,000 rupiahs. That is really a good deal for you who need a basic yet comfy room. There is also the facility of WiFi at the public area. Many customers who have stayed there in the hotel said that the hotel had a clean area and comfy enough. The service from the staff of the hotel is also really great and really kind. Most of people who ever became the customers of the hotel said that this hotel has a good and kind service. Still, this is such a basic hotel and people need to notice and realized it so that it can prevent you getting the out of expectation experience about the Lava-lava hotel in Probolinggo.